Though Hollywood, Florida is not a town bustling with movie stars and film magic, this city is still an ideal place to own a business. With its exciting nightlife and amazing restaurants, Hollywood is a dynamic business location in which many entrepreneurs have invested. In addition to its expanding market place, Hollywood boasts a strong tourism industry because of its close proximity to ten famous beaches, including its own Hollywood Beach. Business hubs like the city of Hollywood require additional safeguards and security due to factors like tourism and crime. One of the best methods of protecting company assets and property is to install a state-of-the-art security system at your business site. 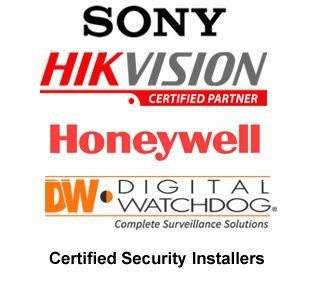 Hi-Tech Security not only offers expert advice and cutting-edge security systems, but our installation packages are affordable and efficient. Experience the benefit our customizable security options can provide your commercial, retail, or small sized business. Stop delaying on such an essential aspect of your company’s security and find out how we can help craft the ideal solution for your needs. With advancements in today’s security technology, manufacturers create some of the best commercial systems out there that offer personalization options for every company imaginable. You can view your business live and monitor daily happenings from the convenience of many popular smart devices from virtually anywhere. It’s necessary to research the type of security your business needs, and you’ll learn quickly that Florida businesses rely heavily on closed-circuit television or CCTV cameras to monitor and protect their assets. With a base quality of 1080P and the ability to integrate with Transfer Video Interface (TVI) and Internet Protocol (IP), you will find many different models that can meet your security needs. Hi-Tech Security has a variety of CCTV camera types to benefit your business. Many of our cameras allow you to view and store your footage by using a Digital Video Recorder (DVR) or a Network Video Recorder (NVR). These systems make it easy for you to access their features by using your favorite everyday smart devices like a smartphone, desktop, or laptop. We make it possible to conveniently search, monitor, and control your security system from virtually anywhere. Our clients have done their research and compared us to our competitors. This comparison showed that our knowledge of security systems and installation is unsurpassed. We have proudly served Hollywood companies for over 14 years and are grateful for the consistently positive reviews about our services and products. We also make sure that our low-voltage contractors are trained to follow all standards of the National Electric Code (NEC). We proudly offer lifetime technical support for all of our installations. We help you protect your business because we appreciate your business. Contact our Hollywood installers at (954) 394-2292 so we can give you a free installation quote today.